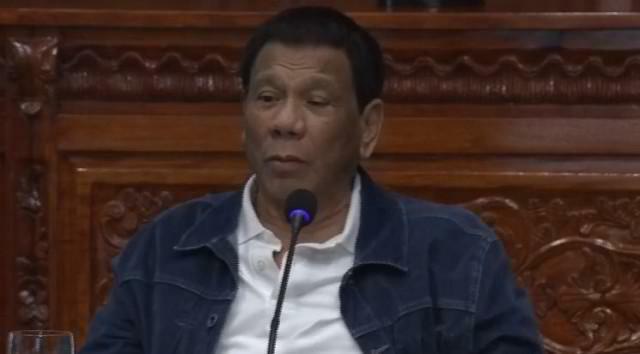 Duterte to those wanting to join gov't: "Don't hurry, just work hard"
President Rodrigo Duterte on Friday spoke encouraging words for those who dream of joining the government but are lagging in school grades. During a speech in Davao City, the President said several of his Cabinet Secretaries were "bright" and did well in school, whereas their boss only settled for a passing grade of "75." "All of them were valedictorians while I only had 75. But who’s their boss now?" Is it the valedictorian? The 75," Duterte said in Bisaya, drawing laughter and applause from the audience. "So don’t be in a hurry. Just work hard in life," he added. The "valedictorians" Duterte was referring include Transportation Secretary Arthur Tugade, Finance Secretary Carlos "Sonny" Dominguez, and Defense Secretary Delfin Lorenzana. 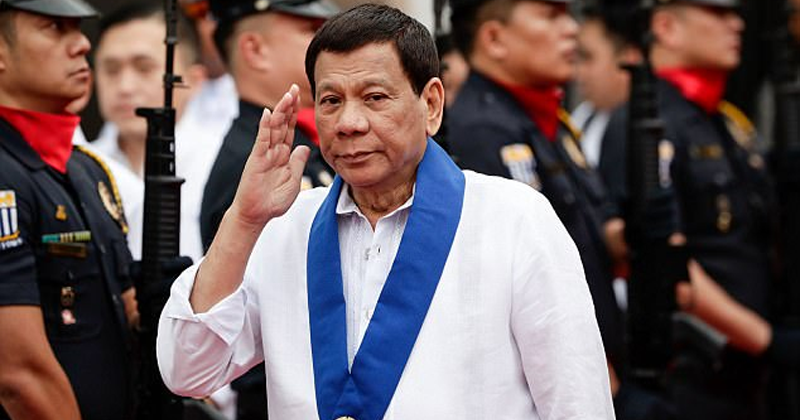 "My Cabinet members, Tugade, who is our valedictorian at San Beda College of Law, Lorenzana, our Secretary of Defense is also a valedictorian," Duterte said. "They’re all smart. Some of them graduated from PMA, they’re bright. Sonny Dominguez is my childhood friend. He’s also bright. From kindergarten to high school he was the valedictorian," he added. The President shared that he did not sail smoothly through school, saying he had once been expelled and described a grade of 75 as just "fine." "Your President only had 75. I've been to Sta. Ana—we lived in Matina—Ateneo, Davao Central School, and back to Sta. Ana again. Went back to Ateneo, I got expelled, and then I went to Digos," he said. "I kept on roaming around. I finished my high school in seven years. That's where they find ideas from as to how to improve education with K-12 because it took me seven years to finish high school. But it was just 75. Honestly, I'm not joking. Even if there is... If some of my classmates who are still alive are around, ask them. 75, 76, 77," he added. "As long as you can reach 75. It's like a ladder. It's the same kind of climb. Why would you go for 95-95 when 75 is just as fine? 75-75 lang," he said. Duterte also touted his daughter Kitty's grades and said she takes after her mother, Honeylet Avanceña, who was also a valedictorian. "Why should you be in a hurry? What will you get out of 95? Just like Honeylet's daughter. Her lowest grade is 91. That's the lowest," Duterte said. "I told her, 'Nak, back then I only studied just a little,'" he added.